Multi-step number patterns have two or more operations with different operands in the rule that defines the number sequence. These patterns may not be obvious just glancing at the sequence, but if the student takes the time to compute the difference between each number in the sequence, the patterns are usually revealed very quickly. 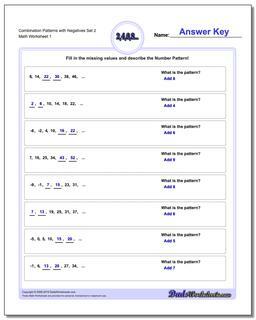 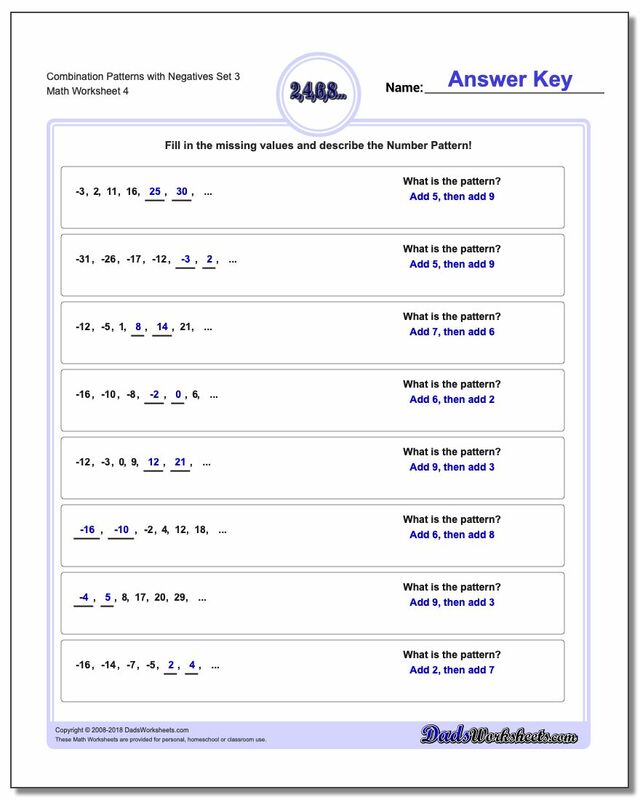 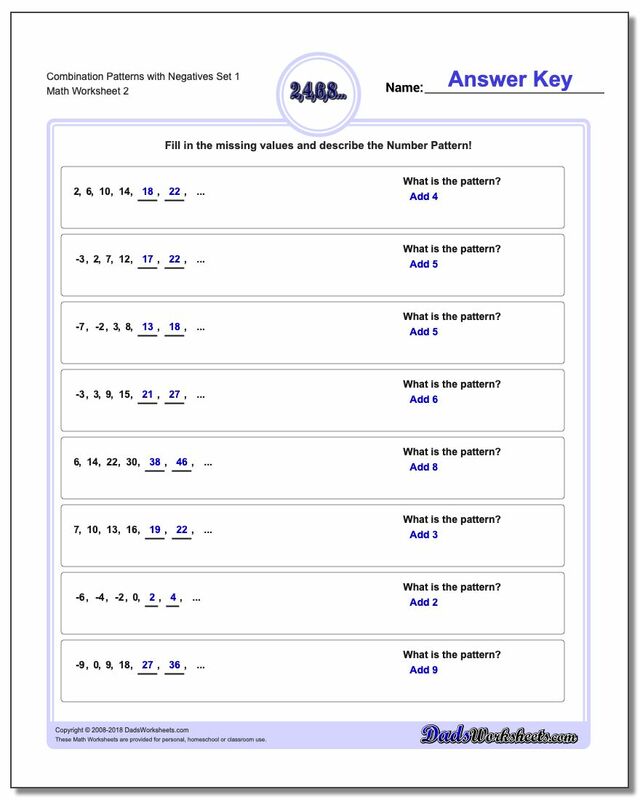 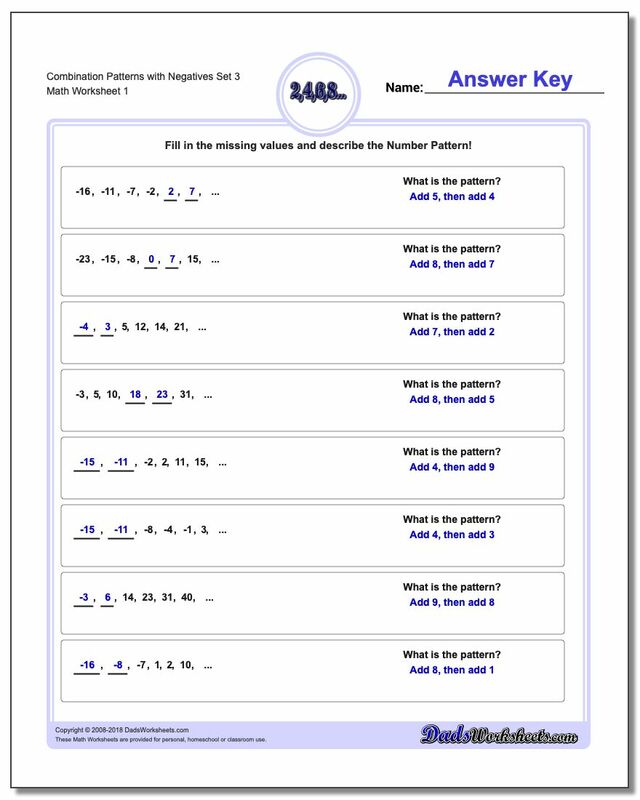 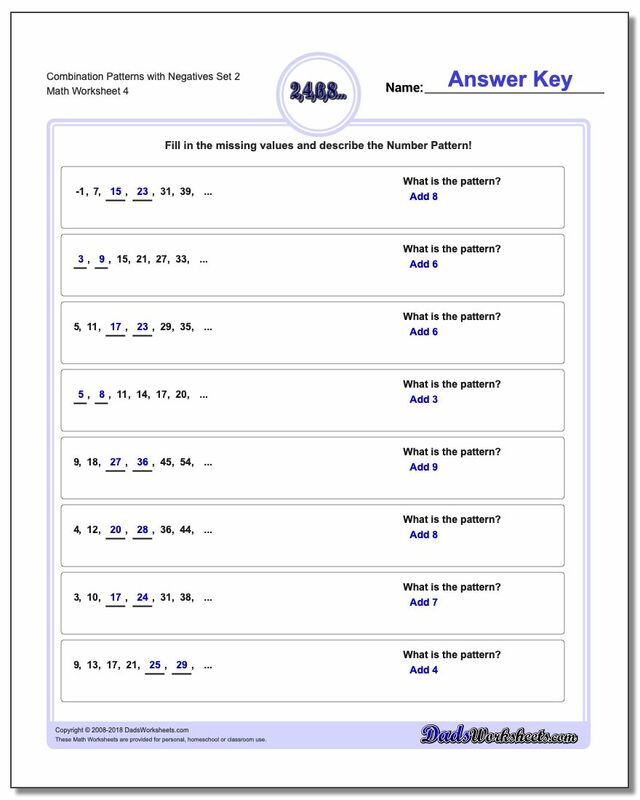 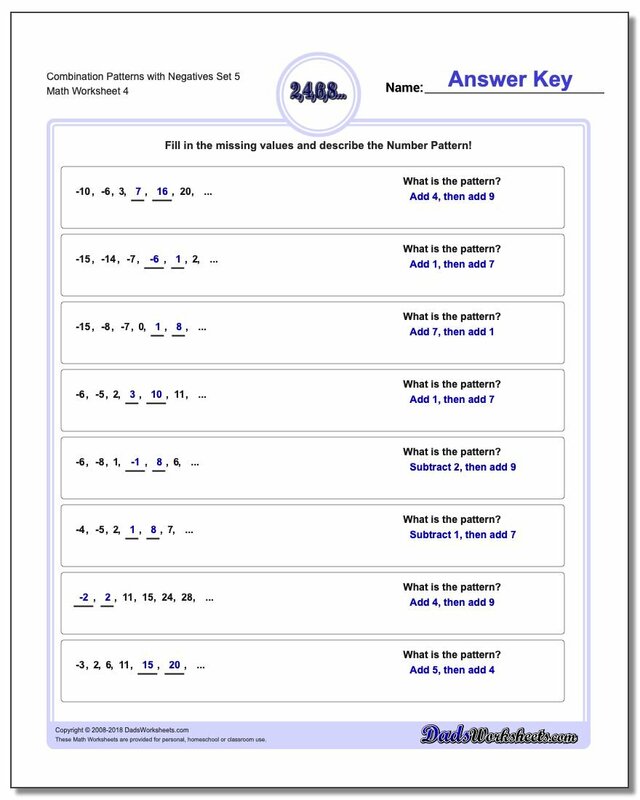 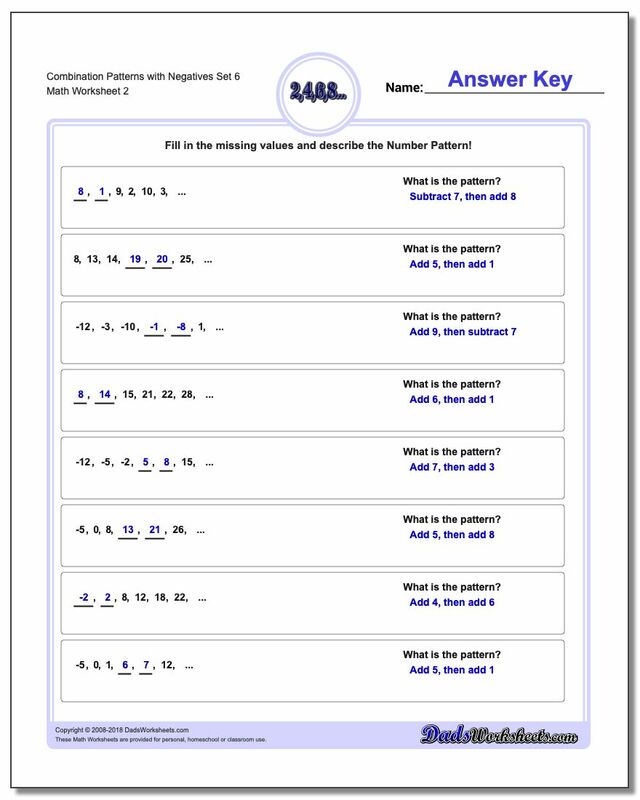 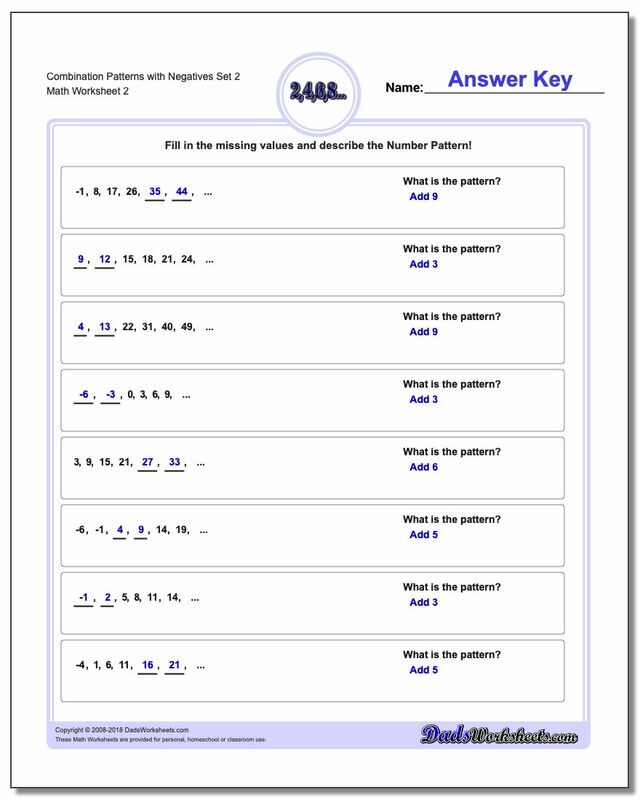 These number pattern worksheets have patterns that not only involve multiple steps, but also involve operations that may traverse zero and generate sequences that include negative numbers.